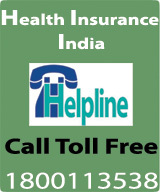 (1)-Licenses are now being issued to Health Insurance companies by IRDA. 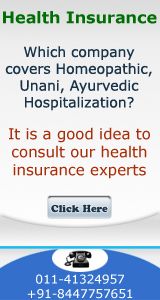 Star Health was the first health insurance co. which has become operational in early 2006. Apollo DKV started operations in Aus 2007. Max, Fortis, Dr Reddy Lab have plans to enter this business. (2)-In view of increase in medication costs the sum assured limit of Rs. 5,00,000 has been increased to Rs. 10,00,000. New India is working o proposal to increase the sum assured limit to Rs 25,00,000. This is a welcome step. (3)-In view of high claims ratio should there be limit on on amount payable on specific disease or treatment. According to recent news item, which appeared in newspaper on June29, 2005 the proposal is to limit it at Rs. 1, 62, 000 for heart ailment. Customers have reacted unfavourably to this news item. This will be major deterrent to customers to go in for Health Insurance of Rs. 5, 00, 000 or Say Rs.10, 00, 000. This proposal is contradictory to point 2. General opinion emerging is that if this is done then many customers will reduce their coverage from Rs. 5,00,000 to Rs. 2,00,000. (a)Minimum sum assured of Rs. 1 lakh. (b)Maximum age at entry of 50 years or so. Those having policies in force will however go on getting renewal of policies. There is a proposal of introducing concept of loading for senior citizens who are above 60 years. (c)Insurance premium may increase by 100% in near future say in 2008 due to Prime Minister's announcement of Rs 2000 Crores health insurance plan for poor. (5)- Hospitals / Pharma Co's may become promoters / investors in health insurance companies. It may result in better healthcare management as resources can be effectively utilized for the welfare of the society. (6)- Some projections are indicating that by 2010 Health Insurance premium will touch Rs. 25000 crores. (7)- Stricter norms will be introduced for TPA's. (8)- Concept of Co pay to get strengthened so that senior citizens have no problem in getting insured.